Nautical letterpress cards and foil stamped envelopes. Letterpress printing and foil stamping. Crane’s Lettra 220# and 110# Cover in fluorescent white. Customer supplied Lapis envelopes from Envelopments. 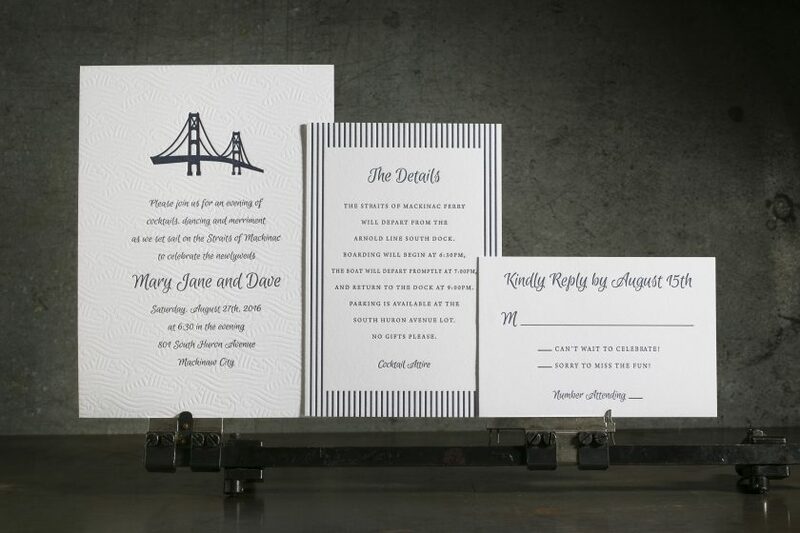 Pantone 289u Navy and blind deboss printed on our Heidelberg Windmill 10 x 15.
the letterpress wedding invitations. Emily designed this nautical inspired suite for a celebratory cruise on the Straits of Mackinaw. The theme was certainly nautical in nature and was inspired by the most basic of nautical elements: white, blue, stripes and waves. 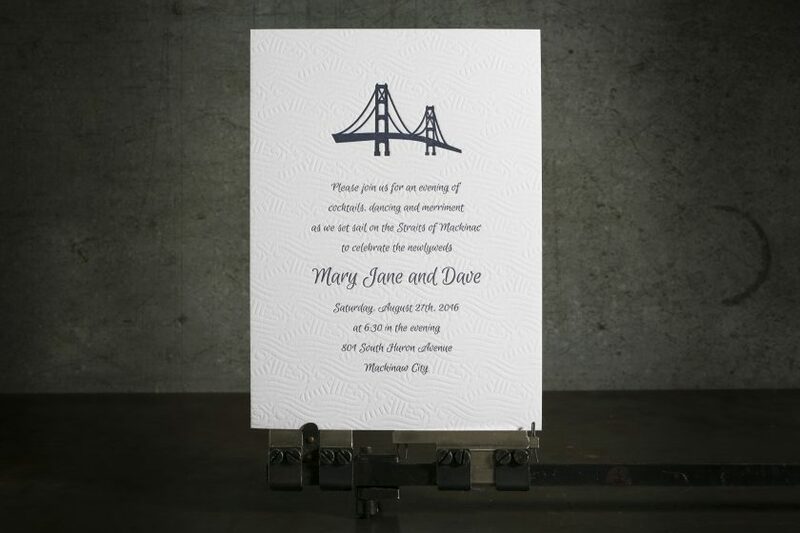 The invite (5.25″ x 7.25″) has a blind debossed wave pattern, while the details card (4″ x 6″) has a great seersucker stripe. The reply card (4.875″ x 3.25″) looked stunning paired with the blue reply card envelopes, which featured white foil stamping. This suite definitely set the mood for a festive evening on the water.